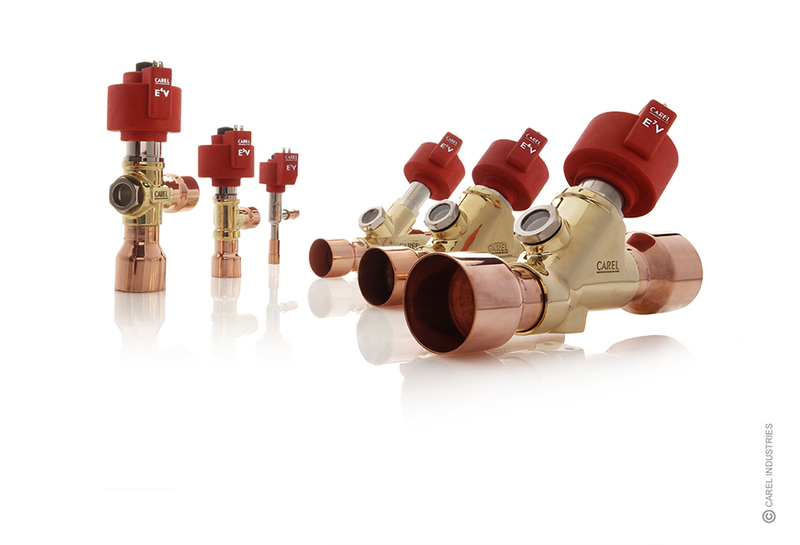 The ExV family valves manage refrigerant expansion through a variable valve port, created by fixed calibrated opening and a conical movable element. The linear movement of the closing element is achieved through the combined action of a stepper motor and a worm screw transmission, which produces precise and regular movement by minimising friction. Control precision and stability are ensured by rotating elements supported by stainless steel ball bearings. The entire mechanism is very robust, thanks to the motor block suspended on harmonic steel springs, and a technopolymer chassis that guarantees high mechanical performance and light weight. All this is made possible by careful construction, the use of quality materials and a production process with final testing on each and every product, in accordance with the highest quality standards.